Call for Blood Samples from Aussies affected with Canine Epilepsy…More Affected cases are needed! Dr. Patterson has shared with us that more blood samples are needed from Aussies affected with canine epilepsy. If you have a dog with epilepsy and have not submitted a blood sample please do it NOW! A blood sample from your affected dog is essential to help the researchers find the genes responsible and develop a screening test. We can not do it without you! First seizure at any age and at least 2 years since seizures started and normal basic blood work, normal physical and neurological exam." 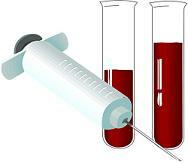 For blood sample submission instructions please go to the link below. We now link directly to UMN to stay current on updates and there is a new address to send samples to so please check out our link. Samples sent to the previous address were still received. If you have any questions please email us at tobysfoundation@tobysfoundation.org.